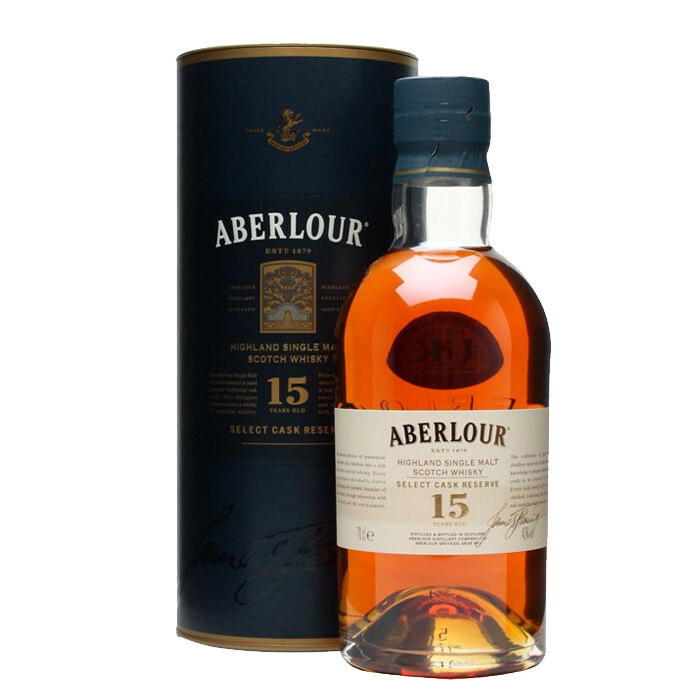 A 15 year old Aberlour single malt, usually found on mainland Europe but some of these tasty rascals have drifted out to our little island. Matured in a mixed of sherry and bourbon casks, lending fruity sweetness to the whisky. Nose: Masses of sherry influence. Plump raisins and thick honey. Palate: Heavy vanilla and more honey-dipped raisins. A little hint of almond and orange peel. Finish: Refreshingly drying. Citrus lasts.